Essentially Revelation is about the divorce of one ‘woman’ … and the marrying of a new, faithful one. The scroll of Revelation 5:1 is actually a bill of divorce; the divorce being completed in the most emphatic manner with the annihilation of the harlot city, “Babylon”. Every new disturbance in the world, be it of natural cause such as earthquakes, tsunamis or hurricanes; political, such as the Gulf War crises, Islamic Jihads and Russian aggression; or economic, for example the new wave of food shortages sweeping the world, finds its modern-day interpreter with the Book of Revelation in hand. Depending upon one’s political or religious proclivity the Beast of Revelation (Revelation 13:11) can be, now the President of the United States, or, previously, Saddam Hussein rebuilding the city of Babylon, or even the Pope ruling Catholicism. This sort of frenzied speculation became particularly apparent as Year 2000 approached, with the ‘millennium bug’ seriously biting the loony cultist fringe. For the Israeli government then had to deport a group of American ‘Christians’ for fear that they had violent intentions towards the Old City, suspecting them to be amongst fanatics who believe that the ancient Temple of Jerusalem is destined to be rebuilt in the near future. This would mean firstly clearing away - even with a bomb if necessary - the great Moslem shrine, the Dome of the Rock, that now occupies the mount. Meanwhile, certain Protestant and evangelical groups continue to persist with the notion, conceived during the Reformation, that the Pope is Antichrist and that the ‘Roman Catholic Church’ is the “famous prostitute” of Revelation, “riding a scarlet beast which had seven heads and ten horns” (17;2, 3), the seven heads being also “the seven hills” (18:9). This latter, they insist, must be a reference to Rome with its Seven Hills. And they puzzle as to why prayerful, Bible-believing Catholics cannot see this. The Modernist crisis has only reinforced this view in their minds, especially when they learn of ‘Catholic’ bishops denigrating the Bible and supporting Gay Acceptance, etc. No doubt some of these non-Catholic brethren are genuine in their beliefs. They are certainly firm in them. Leo Harris for instance, writing the Foreword to Thomas Foster’s The Pope, Communism and the Coming New World (Acacia Press, Victoria), having acknowledged that: “In the present remarkable days, with the Holy Spirit touching the lives of many people in both the Roman Catholic and main-line Protestant churches, one may feel reluctant to expose the errors found in any church system”, feels constrained nonetheless to add a point that will be taken up more vehemently by Foster himself: “However, it is no light matter that any one man should arise and claim supreme headship over the church as Christ’s sole representative or vicar”. Foster himself will go so far as to identify the Pope as Antichrist (which name, he insists, literally means in the place of Christ). I personally know of Protestants who, whilst likewise being quite uncomfortable with the concept of the Papacy, are prepared nonetheless - in the current climate of ecumenism - not to make too much of an issue out of it, but to accept that there is presently going on throughout the world what they might call a ‘mustering of all people of good will’ (including even Roman Catholics). Perhaps this new outlook is the first stirring of unity; the graces of the ecumenical effort. We Catholics have of course a view quite different from these Protestants regarding the Pope and the Church. We acknowledge the Pope to be the appointed Vicar of Christ on earth (cf. Matthew 16:18), the very foundation of the Church, and infallible in matters of faith and morals. The Church we consider to be pre-eminently Marian (even before it was Petrine). The Blessed Virgin Mary, according to John Paul II, “is the image of the Church whom we likewise call mother” (Homily 18 November 1980. Cf. Lumen Gentium, #63). We therefore shudder at the accusation made by Luther-inspired Protestants that the Catholic Church is to be identified with the loathsome “Harlot” of the Apocalypse, which derogatory title we consider to be a most appropriate label for the Modernist ‘World Wide Church of Darkness’ (cf. Pope St. Pius X). In this article I shall be endeavouring to show - hopefully to assist ecumenical efforts by clearing away misgivings, but especially to provide Catholics with a defence against unwarranted accusations by Protestants - that the mystery Whore, “Babylon the Great”, is not Rome at all (either physical or spiritual) but the ancient City of Jerusalem where Jesus himself was crucified - and where many of the Prophets (beginning with Abel), Apostles and disciples of Our Lord were martyred. In this way I hope to establish that the Whore cannot possibly have anything to do with the Catholic Church. I shall be arguing here that the Book of Revelation has already been literally fulfilled; that it was fulfilled with the destruction of Jerusalem by the Roman armies under Titus in 70 AD, corresponding to the burning of “Babylon” in Apocalypse ch.s 17-18, and that its relevance for us today is allegorical and symbolical (e.g. the above-mentioned likening of the Harlot, which is a city, with Modernism, which is a system of thought with a corresponding praxis). Indeed this view accords perfectly with John Paul II’s statement to a C20th audience that the Book of Revelation is ‘symbolical and figurative in meaning’. Essentially Revelation is about the divorce of one ‘woman’ (one formerly just ‘woman’ who had gone bad), and the marrying of a new, faithful one. The scroll of Revelation 5:1 is actually a bill of divorce; the divorce being completed in the most emphatic manner with the annihilation of the harlot city, “Babylon”. I am indebted to Kenneth Gentry (Jr.) in “A Preterist View of Revelation” for spelling this out. When viewed against the backdrop of the theme of Jewish judgment, personages (a harlot and a bride), and the flow of Revelation (from the sealed scroll to a capital punishment for “adultery” to a “marriage feast” to the taking of a new “bride” as the “new Jerusalem”), the covenantal nature of the transaction suggests that the seven-sealed scroll is God’s divorce decree against his Old Testament wife for her spiritual adultery. In the Old Testament God “marries” Israel (see esp. Ezek. 16:8, 31-32), and in several places he threatens her with a “bill of divorce” (Isa. 50:1; Jer. 3:8). (In C. Marvin Pate’s Four Views on the Book of Revelation, Zondervan, 1998. The word “preterist” is based on a Latin word præteritus, meaning “gone by”, i.e. past). Also I want to clear up the serious problem (one of commentators own making) whereby the Apostles, expecting (according to such commentators) Christ’s final coming (Parousia), in their own day, were thus mistaken because that did not come about - still has not. Such an interpretation would suggest that Our Lord had passed on to his intimate friends the wrong time-table. This is, of course, quite unacceptable. My argument here will be that the Apostles were referring first and foremost to Christ’s victorious coming in 70 AD, thus freeing the early Church from her Judaïc (now corrupted and nationalistic) connections. The destruction of Jerusalem in 70 AD may not mean a lot to us now in the C20th -especially we who have grown up with Western-based education that tends to eschew (or not understand) everything Semitic - but it meant a heck of a lot to those of the Apostolic era, who were mostly Jews, and who continued to worship in the Jerusalem Temple and the synagogues virtually to the very end. (One has only to recall how stunned St. Jerome was with the fall of Rome to realise that even great Saints are still very much a part of the environment in which they live). The emphasis here will be on the historico-literal. The historico-literal level of biblical interpretation is the most basic one, and Popes and Saints have urged that Scripture scholars firstly identify that level. Saint Thomas Aquinas himself was utterly convinced of its importance; for, according to Monsignor G. Kelly, in his refutation of Fr. Raymond Brown and co. (The New Biblical Theorists, p. 13): “St. Thomas Aquinas is usually cited as a leading Church doctor who knew the importance of discovering the literal sense”. Obviously there can be only one historico-literal fulfilment of anything. I am now going to illustrate with biblical examples the approach to the interpretation of Revelation being favoured here: namely, of an early historico-literal fulfilment - but allowing for later, spiritual interpretations (The Catechism of the Catholic Church, #’s 115-119, identifies 3 levels of meaning in the spiritual category, as well as the literal level - thus four “senses” all up). Example 1: The sack of Jerusalem by the Babylonians in c.590 BC. This has many parallel likenesses to the sack of Jerusalem by the Roman armies under Titus in 70 AD (which last I claim to be the historical culmination of Revelation). That is not surprising since the same city, in the same geographical location, is involved. But the details of the first incident can never be entirely duplicated in the second (despite what certain psycho-historians seem to think). That is obvious! By 70 AD there would be no Babylonian armies, no King Nebuchednezzar, no prophet Jeremiah, and so on. The connection can be only an allegorical one - ‘like, but not the same as’. But let us take the better-known example of St. John the Baptist. Our Lord Jesus Christ confirmed that the Baptist was the one of whom the Old Testament prophet Malachi had foretold: “Behold, I will send you Elijah” (4:5; cf. Matthew 11:14). But St. John himself insisted that he was not the literal Elijah (John 1:21): he came “in the spirit of Elijah”. Obviously only Elijah himself could fulfil the literal conditions of his own day. Likewise, only one scenario can literally fulfil Revelation - and that I suggest is the scenario pertaining to the destruction of Jerusalem in 70 AD. The many later scenarios are imbued, so to speak, with Revelation’s “spirit”; this being most emphatically true of our own era, with the Bride of the Lamb apparently following Her Spouse in his Passion, Death and Resurrection. But there can be only one literal fulfilment. Now, for the “Marian Dimension”, I turn for Example Three to the Books of Hosea and Isaiah, especially to the famous Virgin and Immanuel of Isaiah. Since this example will be important in the context of the entire article, I must now convert it into a whole new section in its own right. In 1998 I wrote an article entitled “Isaiah and His Six Children” (now in need of updating), in which I made a case for identifying Hosea and Isaiah as one and the same person, having, all up, two wives and six children. Hosea’s/Isaiah’s children had God-inspired names that were to be of symbolical importance to the kingdoms of Israel and Judah. Moreover, Hosea’s name, like Isaiah’s, indicates God as ‘Saviour’. The prophet Hosea was actually commanded by God to pantomime the tragic situation of Israel’s infidelity to God, by taking for his wife an adulteress from the harlot nation of Samaria (northern Israel). ‘Go, marry a whore, and get children with a whore, for the country itself has become nothing but a whore by abandoning Yahweh’ (Hosea 1:2). God knew that this woman, a product of her environment, would be unfaithful to the prophet, but He nevertheless urged Hosea to take her back after her infidelity, as a sign to Israel that God was patient and long-suffering and was also prepared to take back unfaithful Israel (3:1-3). The prophet Isaiah apparently married a good woman, entitled “prophetess” (Isaiah 8:2); who - if Hosea and Isaiah were one and the same - would be another of his wives. Be all that as it may, this bad wife/good wife scenario is in fact, I now believe, the whole tension of the Book of Apocalypse. The pantomime that Hosea/Isaiah had played out in c.700 BC would now be approximately re-enacted by Jesus Christ himself, the Saviour, in his divorce of the unfaithful earthly Jerusalem (Judaïsm) and his marriage with his new Bride, the heavenly Jerusalem. This time there will be no taking back of the adulteress, Jerusalem - even though He had passionately longed to do so: ‘Jerusalem, Jerusalem ... How often have I longed to gather your children, as a hen gathers her chicks under her wings, and you refused!’ (Luke 13:34). His patience with her had at last run out, so to speak. When we read Isaiah’s prediction that the “young woman” [Hebrew: almah] was with child (Hebrew literally “has conceived”) and would soon give birth to a son, “Immanuel”, we immediately think of Mary and Jesus. And this is as it should be. St. Matthew, under the inspiration of the Holy Spirit, applying to the Isaian text a spiritual sense - indeed a fuller sense than Isaiah himself had intended - converts Isaiah’s “young woman” into “Virgin”. With the Blessed Virgin Mary, Isaiah’s prophecy was fulfilled spiritually - and, of course, perfectly. This does not mean, though, that Isaiah himself had foreseen in a literal (or photographic) way the fulfilment of this prophecy in Christ; but, rather, he expressed the hope that Christ fully realized. St. Matthew and the Church have seen in the birth of Christ from the Virgin Mother the perfect fulfilment of this prophecy. That Isaiah had in his own mind something quite contemporary, pertaining to his own era of c. 700 AD, is quite obvious from the terms in which the prophecy is stated. At the time Jerusalem was under threat from Syria and northern Israel (Ephraïm), and Isaiah was addressing Ahaz, the King of Jerusalem, and his father’s House (cf. Isaiah 7:17). [Comment: Note how Isaiah has switched from calling Yahweh, ‘your God’ (Ahaz’s God), to ‘my God’. For Ahaz and his colleagues had rejected Yahweh as their God]. The Lord himself, therefore, will give you a sign. [Comment: The Hebrew verb indicating conception, harah, is set in the past tense]. and will soon give birth to a son whom she will call Immanuel. [Comment: The Virgin Mary did not call her Son, “Immanuel”, but “Jesus”, as the angel Gabriel had specifically ordered her: “... you must name Him Jesus” (Luke 1:31). Nevertheless, Jesus is more perfectly Immanuel, ‘God-with-us’, than was Isaiah’s son of that name]. On curds and honey will he [i.e. Immanuel] feed until he knows how to refuse evil and choose good. [Comment: Isaiah will explain the significance of the “curds and honey” 7 verses further on, and later so shall I]. [Comment: to identify the “two kings” and their “land”, we need to go back to verse 1 of this same chapter 7 of Isaiah - these two kings who terrify King Ahaz and Jerusalem are “Rezon the King of Aram (Syria) [and ...] Pekah ... King of Israel”, who had already tried once to take Jerusalem]. [Comment: And why did the land of Syria and Israel become “deserted”? Because within a few years - before Isaiah’s son Immanuel had had time to reach the age of reason, as the prophecy tells - Assyria’s Tiglath-pileser III (biblical “Pul”) [and his presumed son], Shalmaneser V, took away into captivity Syria and northern Israel, cf. 2 Kings 15:19; 16:7; 17:3. That all sounds like good news to King Ahaz, because the King of Assyria - whom he had called in to help him - would get rid of his two enemies. But Yahweh was not about to do the wicked Ahaz any favours. The King of Assyria would become a far worse menace to Jerusalem than ever had Syria and Israel, as we are now going to be told]. Yahweh will bring times for you and your people and your father’s House, such as have not come since Ephraim broke away from Judah [i.e. that had occurred 200 years earlier, in c. 920 BC, when Jeroboam took the northern tribes away from King Solomon’s son, Rehoboam, ruler of Judah]: namely, the King of Assyria. [Comment: The King of Assyria will cause trouble for Judah to parallel the tragic split in half of the kingdom in the days of Solomon’s son, 200 years earlier, when Pharaoh “Shishak” of Egypt came up and took Jerusalem and sacked the Temple of Yahweh]. That day [when this happens, in a few years time] Yahweh will whistle up mosquitoes from the Delta of the Egyptian Nile [i.e. the Egyptian armies that, coming ostensibly to help Judah against Assyria, will only cause further nuisance value, trampling the land, and getting defeated into the bargain by the Assyrians], and bees from the land of Assyria [i.e. the Assyrian armies], to come and settle on the steep ravine, on the rocky cleft, on the thorn bush and on every pasture [in other words, these armies will be a total nuisance in the land of Judah]. On that day [when this happens, in a few years time] the Lord will shave with a blade hired from beyond the River: namely the King of Assyria, the head and hairs of the body, and take off the beard, too. [Comment: “Hired blade”: what a fitting description of the Assyrian scourge! King Ahaz had indeed ‘hired’ the King of Assyria to help him, 2 Kings 16:7. But the Assyrians would eventually chop down the Judæans like an efficient blade, or “axe”, as Isaiah will call the Assyrian a bit further on, 10:15]. That day [when this happens, in a few years time] each man will raise one heifer and two sheep, and because of the abundance of milk they give, all who are left in the country will feed on curds and honey. [The feeding on curds and honey, that will be the lot of young Immanuel, does not mean prosperity, but that that is all that will be left on which to feed. Why? Because:] That day, where a thousand vines used to be, worth one thousand pieces of silver, all will be briar and thorn. Men will enter it with arrows and bow since the whole country will revert to briar and thorn. On any hillside hoed with the hoe no one will come for fear of briars and thorns; it will be pasture for cattle and grazing for sheep. Christians, growing up with this OT reading, will immediately recognise it as pertaining to Jesus Christ. But parts of it have seemed strange, such as mention of “curds and honey”, even inappropriate, such as “the King of Assyria”. That is because the text cannot be made to fit literally the time of Our Lord; though it fits Him spiritually, and perfectly. It was not in his time fulfilled in the literal sense that Isaiah had intended, which was - as we have just seen - enframed in the context of the Syro-Ephraïmite and Assyrian wars of c. 700 BC. Whilst Isaiah prophetically ‘foresaw’ in the Holy Spirit the Blessed Virgin Mary and Jesus, his reference was, for himself and his contemporaries, a far more down-to-earth and immediate one. Remember that little Immanuel’s birth was meant to be “a sign” from God to King Ahaz and his House whom Isaiah was addressing outside the walls of Jerusalem (7:11). But what sort of immediate sign for Ahaz and his contemporaries would have been the virginal birth of Jesus Christ, 700 years later! I am not talking here of course about the salvific value of Christ’s Birth, which indeed embraced King Ahaz, his contemporaries, and indeed the entire human race. Now, Immanuel was not the only one in Isaiah’s family to serve such a symbolic purpose. “I and the children whom Yahweh has given me are signs and portents in Israel” (8:3, 18), Isaiah tells us. Then, in the next chapter, he goes on to relate that he “... went into the prophetess, she conceived and gave birth to a son ... Maher-shalal-hash-baz”. This boy-child, too, would be a sign for Judah regarding the progress of the Assyrian armies. Thus, in Isaiah’s mind, there would have been nothing miraculous about the birth of Immanuel. The young woman and Immanuel were of his own family; his wife and son. Immanuel we are told, would, before he reached the age of reason, “feed on curds and honey” (Isaiah 7:15). What does that signify? It suggests that the family must have been obliged to head north, away from Jerusalem, to the region that had already been devastated and depopulated by the Assyrian armies, where briars and thorns had taken the place of abundant vineyards, and where “all who are left in the country will feed on curds and honey” (vv.22, 23). The woman brought a male child into the world, the son who was to rule all the nations with an iron sceptre, and the child was taken straight up to God and to his throne, while the woman escaped into the desert, where God made a place of safety ready, for her to be looked after in the 1260 days (12:5-6). This “male child”, the victorious One, who rides the white horse, is the Christ, victorious in his Passion and Resurrection (cf. 5:5). Pope Pius XII stated unequivocally: “He is Jesus Christ” (as quoted in Opus Dei’s The Navarre Bible: Revelation, p. 70). ... the name written on Him was known only to Himself, his cloak was soaked in blood. He is known by the name, The Word of God. From his mouth came a sharp sword .... He is the one who will rule [the pagans] with an iron sceptre, and tread out the wine of Almighty God’s fierce anger. On his cloak and on his thigh there was a name written: ‘The King of Kings and The Lord of Lords’. He is also Immanuel, “God-with them” (21:3). So when you see the disastrous abomination, of which the prophet Daniel spoke, set up in the Holy Place (let the reader understand), then those in Judæa must escape to the mountains .... Pray that you will not have to escape in winter or on a sabbath. For then there will be great tribulation such as, until now, since the world began, there never has been, nor ever will be again. [Comment: That this “great tribulation” refers literally to a pre-70 AD scenario - and not to any later time, including the C21st - is obvious from the mention of the “sabbath” restricting the movements of peoples in Palestine. All that Jewish legalism went right ‘out the window’ after the destruction of Jerusalem in 70 AD]. Jesus Christ challenges “the reader” to “understand” about the “Abomination that makes desolate”, from which the faithful must flee. But what might have been a riddle then for his contemporaries is really made easy for us by St. Luke, who, removing all the mystery, tells us that this refers to the pagan armies that will encompass Jerusalem (Luke 21:20). These are perhaps the Gog and Magog of Revelation 20:8 - the idea for which St. John borrowed from Ezekiel 38 and 39 - the multi-nation armies of the ruling empire that would attack Judæa and Jerusalem. “Armageddon” (Revelation 16:16) perhaps refers to Jerusalem’s strong northern fortress of Har Magedo. St. John picks up this, Our Lord’s command to flee, when he writes: “A new voice from heaven; I heard it say, ‘Come out, My people, away from [Babylon] so that you do not share in her crimes and have the same plagues to bear. Her sins have reached up to heaven ...’.” (Revelation 18:4, 5; cf. 18:2). The 1260 days (i.e. 42 months or three and a half years) pertain to the period of the Jewish war in the era 66-70 AD. As in the case of the parables, not everything in the imagery necessarily happens in real life; and the same image can refer to one or more things - particularly when they are closely connected, as the Blessed Virgin and the Church are. So, the fact that this passage is interpreted as referring to the Church does not exclude its referring also to Mary. More than once, the Church’s Magisterium has given it a Marian interpretation. 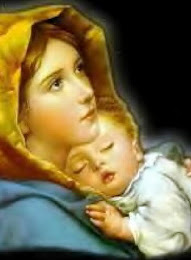 For example, St. Pius X says: ‘Everyone knows that this woman was the image of the Virgin Mary ...’. The mysterious figure of the woman has been interpreted ever since the time of the Fathers of the Church as referring to the ancient people of Israel, or the Church of Jesus Christ, or the Blessed Virgin. The text supports all of these interpretations but in none do all the details fit. Such a misalignment is, I believe, forced upon those who fail to recognise in the entire Revelation a consistent historico-literal substratum: namely, that of the era of the Apostles. All of Revelation’s prophecies strongly reflect actual historical events in St. John’s near future, though - as is obvious to any sound commentator - they are set in apocalyptic drama and clothed in poetic hyperbole. There will be no problem fitting details once one has the appropriate matrix; the matrix that the Holy Spirit has in mind. Having said that, there is no harm in one’s allegorizing (one of the three spiritual senses) the whole situation of the Woman fleeing into the desert from the great Red Dragon as the current banishment of Marian devotion, by the Modernists, to the desert of oblivion, or the rejection by Catholics of Our Lady of the Rosary (Fatima) and her message. It seems to me that the historico-literal sense is necessary to the spiritual sense in a way analogous to the need of the soul for the body. Admittedly the soul can exist without the body, even in Heaven, but there is an incompleteness there that will be resolved only on the last day. St. Augustine, in his The City of God, juxtaposed two cities - the camp of the just and that of the evil - from Cain and Abel right down to his own day circa C5th AD. Taking a lead from this, but adopting alongside it the perspective relevant to this article, of the good and the evil woman - of divorce and re-marriage - I shall be contrasting Christ’s Bride with the Devil’s Harlot Woman. The Kingdoms of Israel and Judah (Jerusalem) are typified in many Scriptures (e.g. Isaiah 1:8, Lamentations 2:13) as a Woman. In Ezekiel, Israel is likened initially to a helpless girl-child upon whom God (as Father) took pity, nourishing her and watching her grow. Afterwards He dressed her in finery and (as Bridegroom) took her for His spouse; eventually crowning her with queenship so that she became the envy of the nations (16:4-14). But, with the passing of time, she became infatuated with her own beauty; using her fame to make herself a prostitute (v.15); even going beyond the excesses of a prostitute (vv. 21, 33-34). For her punishment, God handed her over to “all the lovers” [i.e., the nations], with whom she had been trafficking, but who had become sick of her filthy ways (v. 28). These were to treat her in the same way as were treated in antiquity “women who commit adultery and murder ... stripped ... stoned and run through with a sword” (vv. 38, 40). Thus did Assyria do to the northern kingdom of Israel which Ezekiel calls Jerusalem’s “sister”. (Fulfilled in c. 720 BC, conventional dating). 2. And so, God warns through Ezekiel, would the Babylonians do to Jerusalem for not having learned from her sister’s mistakes. (Fulfilled in c. 590 BC, conventional dating). For the Lord Yahweh says this: “I now hand you [Jerusalem] over to those you hate, to those in whom you have lost interest. They will treat you with hatred, they will rob you of the fruits of your labours and leave you completely naked. And thus your shameful whoring will be exposed .... As you have copied your sister’s behaviour, I will put her cup in your hand”. “You will drink your sister’s cup, a cup that is wide and deep, leading to laughter and mockery, so ample the draught it holds. You will be filled with drunkenness and sorrow. Cup of affliction and devastation, the cup of your sister Samaria, you will drink it, you will drain it; then it will be shattered to pieces and lacerate your breast. I have spoken - it is the Lord Yahweh who speaks”. (Ezekiel 23:28, 29:31-33, 34). The Apocalypse is a prophetical book (IV.1), and it ranks St. John with the prophets of the Old Testament (X.11). The “mystery of God” had been declared by His “servants the prophets (X, 7) .... [Apocalypse] is so largely a restatement of the Old Testament prophecies, that some have called it a mere compilation. Here the martyrs of the Old Testament (“saints”) are distinguished from those of the New Testament (“martyrs of Jesus”); but they all suffered their fate in the one same city. This city, this vile ‘woman’, is apostate Jerusalem! She is also called “the Great City” (e.g. Revelation 14:8; 18:10), and, again, “the Great City known by the symbolic names Sodom and Egypt, in which their Lord was crucified” (11:8). Derogatory names like “Sodom”, “Gomorrah” and “Egypt” were indeed code-names - or, rather, labels of contempt - applied by the Old Testament prophets to Israel and Jerusalem turned harlot. Thus Isaiah addressed Jerusalem’s leaders: “Hear the word of Yahweh, you rulers of Sodom; listen to the command of our God, you people of Gomorrah ... What a harlot she has become, the faithful city, Zion, that was all justice!” (Isaiah 1:10, 21; cf. Jeremiah 23:14). And St. John, in turn, picks up this usage for Jerusalem - clearly Jerusalem because she is the only city of which it can be said “in which their Lord was crucified” - and he applies to her the mystery name of “Babylon”, “a cryptic [symbolical] name” (17:5). Opus Dei (op. cit.) on Rev 17:1-19:10: “This first section of the final scene begins with the depiction of the city of Rome (described as the great harlot, the great city, great Babylon), its punishment, and its connexion with the beast (the symbol of absolutist antichristian power personified by certain emperors (cf 13:18). Fr. Kramer (The Book of Destiny, pp. 387-8): “The name of the harlot was written on her forehead. Seneca (“Contro. V.i”) says that Roman harlots wore a label with their name on their foreheads. That would make this verse point to Rome, since this woman is the figure of the great city. St. Peter (I Peter, V.13) writes from Babylon, by which he surely [sic] means Rome. [Comment: Roman harlots may indeed have worn a label on their foreheads, which was ancient practice, but it was of Jerusalem that Jeremiah shouted: “You had a whore’s forehead” (Jeremiah 3:3)]. Note that Rome does not figure at all in the Old Testament until we come all the way down to its very last history, Maccabees (c. 150 years before Christ, conventional dating). Rome is there mentioned, but not at all in terms of St. John’s condemnatory: “In her you will find the blood of prophets and saints, and all the blood that was ever shed on earth”. Rather, Rome is spoken of most favourably, even eulogised, by the inspired Maccabean writer. Moreover, the Maccabees had actually formed an alliance with Rome (I Maccabees 8:1, 12-16). And obviously, from St. John’s description of “Babylon” in terms of great antiquity, it cannot refer to any modern-day (historically recent) city. No, St. John’s “Babylon” refers to Jerusalem! ‘... you will draw down on yourselves the blood of every holy man ... from the blood of Abel ... to the blood of Zechariah ... whom you murdered between the sanctuary and the altar [i.e., of the Jerusalem Temple]. I tell you solemnly, all of this will recoil on this generation. Jerusalem Jerusalem, you that kill the prophets and stone those who are sent to you! ... Your House [Temple] will be left to you desolate [cf. Abomination that makes desolate], for I promise, you shall not see Me any more until you say: Blessings on Him who comes in the name of the Lord!’ (Matthew 23:35-39). There is a lot for us to chew over in this statement alone. For starters, here is mention of that coming of Christ that has so baffled exegetes, that seems emphatically to pertain to that generation. Yahweh God, who had conceded to Israel a 40-year probation in the desert under Moses (c. 1400 BC), would now again in the time of His Beloved Son allow for about 40 years (c. 30-70 AD), a full generation, to enable the Apostles to gather in whomsoever was destined to be saved. And just as Moses, with assistance from his loyal Levite priests, had to carry, cajole and exhort his people during the trying sojourn in the wilderness, so do we find St. Peter, with his loyal team of Sts. John, Paul, etc., doing the same. Thus St. Peter: “You must repent ... every one of you must be baptised in the name of Jesus Christ for the forgiveness of your sins, and you will receive the gift of the Holy Spirit. ... Save yourselves from this perverse generation”. (Acts 2:38, 41). And St. John: “I am writing this, my children, to stop you sinning; but if anyone should sin, we have our advocate with the Father, Jesus Christ ...”. (I John 2:1). St. Paul in fact most eloquently tried to lift the peoples’ minds above the earthly Jerusalem that was passing away, to the heavenly Jerusalem. “What you have come to is nothing known to the senses [as it indeed had been in the case of those at Mount Sinai, with fire, noise etc.] ...” (Hebrews 12:18, etc.). St. Peter again: “... men with an infinite capacity for sinning ....They may promise freedom but they themselves are slaves ... to corruption; because if anyone lets himself be dominated by anything, then he is a slave to it; and anyone who has escaped the pollution of the world once by coming to know our Lord and Saviour Jesus Christ, and who then allows himself to be entangled by it a second time and mastered, will end up in a worse state than he began in. It would even have been better for him never to have learnt the way of holiness, than to know it and afterwards desert the holy rule that was entrusted to him. What he has done is exactly as the proverb rightly says: The dog goes back to his own vomit, and: When the sow has been washed, it wallows in the mud”. (2 Peter 2:14, 19-22). And St. John again: “Write to the angel of the church in Sardis and say, ‘... I know all about you: how you are reputed to be alive and yet are dead. Wake up; revive what little you have left: it is dying fast. ... Repent. If you do not wake up, I shall come to you like a thief, without telling you at what hour to expect Me’.” (Revelation 3:1-4). In this way many were saved, “a huge crowd” (Revelation 19:6). But “the apostasy” of which St. Paul warned (2 Thessalonians 2:3), and from which St. John, too, was trying to hold back the seven churches of Asia (Revelation 1), and from which, too, St. Peter and the other Apostles would have been striving to protect Judæa and Samaria, was ever working its way also - as it had with Moses’s generation as typified at Meribah and Massa in the desert (Psalm 94). The ‘fruits’ of this apostasy would ultimately be mass destruction. Thus I believe the above texts of the Apostles to be all approximately contemporaneous witness and exhortation - not writings separated by decades, before and after the destruction of Jerusalem in 70 AD! The Jewish people (especially) would be given a full generation of 40 years to change, with the Apostles urging them not to fall back. Eventually the destroying angel would pass by those who had been marked with the sign of the Lamb, that is the baptised who had persevered in their faith. But those who wore the mark of the beast (Revelation 14:10), the apostates, would be destroyed, and violently. ‘Unless you do penance you will all perish as they did [that is, by a violent death]’ (Luke 13:1-5). [Not to mention the danger of spiritual death]. For at the end of the 40 years of probation thousands upon thousands of Jews did die violent deaths at the hands of the Romans, with towers likewise falling upon them, and missiles, stones and fire. Our Lord’s warning applies to all wicked generations, including our own. And we have also had a ‘John and a Paul’ (in John Paul II) telling us, specifically with reference to Revelation, that Vatican II is most essentially a Council of Advent, of the Coming. But let us once and for all get away from the idea that some modern-day Beast is going to implant 666 micro-computer chips in the foreheads of his followers. More plausibly the ‘mark of the beast’ is - like a Satanic aping of the tau marked upon the forehead by the angel in Ezekiel (9:4) - an invisible, spiritual character that the destroying angel could discern, to kill or to spare. Nor should anyone be living in fear of terrible storms of hail of unnatural size. [Comment: I first wrote this before Sydney’s awesome hailstorm in April of 1999, when some claimed to have seen hailstones even “the size of a bucket”]. The “great hailstones weighing a talent each” of Revelation 16:21 are undoubtedly the same as those of the exact same weight as described by the Jewish historian, Flavius Josephus, eyewitness to the ultimate destruction of Jerusalem in 70 AD (The Jewish War, 3.7.9, cf. 3.7.10, emphasis added): “... catapults ... threw at once landed upon them with great noise, and stones of the weight of a talent were thrown by the engines that were prepared for that purpose, together with fire .... which made the wall so dangerous that the Jews durst not to come upon it”. They were stones from the Roman catapults, not hailstones from the clouds. Josephus’s description of this doomed generation, fittingly punished, completely backs up Our Lord’s numerous complaints about it being “an evil and adulterous generation”, (e.g. Matthew 13:39; Mark 8:12; Luke 11:29), and even worse than Sodom and Gomorrah (Matthew 10:15; 11:24 Mark 6:11; Luke 10:12). Josephus wrote in retrospect (ibid., 5.10.5): “Neither did any other city ever suffer such miseries, nor did any age ever breed a generation more fruitful in wickedness than this was, from the beginning of the world”. Is there an analogous situation with the post-Vatican II generation - again one of history’s worst? Is its time of probation also running out? Those blessed to have the gift of Faith need to be exhorters and encouragers like the Apostles were to their “perverse generation”, to save some at any cost (cf. Romans 11:14; I Corinthians 9:22). Revelation is a book of urgency. The events it describes were to happen soon. [When the Bible says “soon”, it means soon, as in the case of the birth of Isaiah’s Immanuel - not in the Third Millennium!]. We learn that lesson when we start reading Revelation at its beginning. Plato, in The Republic, had stated an important maxim: “The beginning is the most important part of the book”, and this principle holds a special significance for the would-be interpreter of Revelation. “Unfortunately”, as Gentry rightly notes (op. cit., p. 40), “too many prophecy enthusiasts leap over the beginning of this book, never securing a proper footing for the treacherous path ahead”. This is the revelation of Jesus Christ, which God gave Him to show His servants what must soon [Gk. tachos] take place .... Blessed is the one who reads the words of this prophecy, and blessed are those who hear it and take to heart what is written in it, because the time is near [Gk. engys]. The angel said to me, ‘These words are trustworthy and true. The Lord, the God of the spirit of the prophets, sent His angel; to show His servants the things that must soon take place’ .... Then he told me, ‘Do not seal up the words of the prophecy of this book, because the time is near’. Just as it would have been senseless for Isaiah’s “sign” for king Ahaz to have been something that would not occur until 700 years later, so would John the Evangelist - according to Gentry (op. cit. p. 42) “... be taunting [the churches] mercilessly if he were discussing events two thousand or more years distant. God answers the anxious cry “How long?” by urging their patience only a “little while longer” (6:10-11). Revelation promises there will no longer be “delay” (10:6)”. The angel’s command to St. John not to seal up the scroll is also tellingly in favour of this “soon” interpretation. The prophet Daniel, by contrast, had been commanded by the angel to keep his “words secret and the book [scroll] sealed until the time of the End”, because the things Daniel was shown were not to happen for a long time in the future - in fact several hundred years later, in the time of the Apostles’ generation. For Our Lord himself had, during his important Olivet Discourse when facing the Temple of Jerusalem, referred to the “abomination that makes desolate of which the prophet Daniel spoke” (Matthew 24:15; cf. Mark 14:13). We know from Josephus’s history that the Roman armies of Cestius Gallus, that came up to (and surrounded) Jerusalem in 66 AD, and had all but conquered the city, had suddenly, most strangely, retreated. Even Josephus recognised the hand of Providence in this most unexpected turnabout. Many Jews, he said, fled the city at the time - no doubt e.g. those obedient to Jesus Christ’s Olivet warning. And Josephus is correct in seeing this intermission as only intensifying the pressure ultimately, so that with the return of the Roman armies the final destruction of Jerusalem, when it came (in 70 AD), would be total. Thus would be fulfilled Our Lord’s prophecy that ‘Jerusalem will be trampled on by the Gentiles until the time of the Gentiles are fulfilled’ (Luke 21:24). St. John recalls this in Revelation 11:2: “But exclude the outer court [of the Temple]; do not measure it, because it has been given to the Gentiles. They will trample on the holy city for 42 months”. As Gentry has observed (op. cit., p. 66): “... the trampling of the temple in AD 70 (Dan. 9:26-27) after its “abomination” (9:27; cf. Matt. 24:15-16; Luke 21:20-21) ends the Gentiles’ ability to stamp out the worship of God. In Daniel 9:24-27, Matthew 23:38-24:2, and Revelation 11:1-2, the “holy city” and its Temple end in destruction”. But how do the “times of the Gentiles” relate to the forty-two months of Revelation 11:12)? Well, the period would range from the spring of 67 AD - when Emperor Nero sent his general, Vespasian, to put down the revolt of the Jews - to August 70 - when the Romans breached the inner wall of Jerusalem, transforming the Temple and city into a raging inferno: a period of forty-two months. The five months of Revelation 9:5 pertain specifically to the period when the Jewish defenders held out desperately (one might say, fanatically), from April 70 - when Titus began the siege of Jerusalem - until the crescendo at the end of August. According to Gentry (61): “This five months of the Jewish war happens to be its most gruesome and evil period” (cf. Wars, 5.1.1, 4-5; 10:5; 12:4; 13:6). Palestine, not the world, is the stage for the drama of Revelation, despite translations that tell us of Christ’s judgment bringing mourning upon “all the tribes of the earth” (NIV). Literal translation of the text shows that St. John actually focusses on all the tribes of “the land” (Gk. tês gês), the well-known Promised Land in which the Jews lived. We should probably translate the Greek word hê gê as ‘the land’ rather than ‘the earth’ in the great majority of cases where this occurs in Revelation. (4) the Son of Man “on the cloud” (Rev. 14:14-15) rehearses Revelation’s theme regarding Israel (1:7). The distance of blood flow is 1,600 stadia, which is roughly the length of the land as a Roman province: The Itinerarium of Antoninus of Piacenza records Palestine’s length as 1664 stadia. This prophecy refers to the enormous blood flow in Israel during the Jewish war. Allow me to document this. In his Wars Josephus writes: “the sea was bloody a long way” (3.9.3); “one might then see the lake all bloody, and full of dead bodies” (3.10.9); “the whole of the country through which they had fled was filled with slaughter, and Jordan could not be passed over, by reason of the dead bodies that were in it” (4.7.6); “blood ran down over all the lower parts of the city, from the upper city” (4.1.10); “the outer temple was all of it overflowed with blood” (4.5.1); “the blood of all sorts of dead carcasses stood in lakes in the holy courts” (5.1.3); and “the whole city ran down with blood, to such a degree indeed that the fire of many of the houses was quenched with these men’s blood” (6.8.5). Note what Josephus writes about the policy of the Romans: “he also at the same time gave his soldiers leave to set the suburbs on fire, and ordered that they should bring timber together, and raise banks against the city” (Wars 5.6.2). The Romans destroyed the trees in Israel for fuel and for building their weapons: “All the trees that were about the city had been already cut down for the making of the former banks” (Wars 5.12.4). “They cut down all the trees that were in the country that adjoined to the city, and that for ninety furlongs round about” (Wars 6.1.1; cf. 3.7.8; 5.6.2). Of Vespasian’s march on Gadara, Josephus writes: “He also set fire, not only to the city itself, but to all the villas and small cities that were round about it (Wars 3.7.1.; cf. 4.9.1). Galilee was all over filled with fire and blood” (Wars 3.4.1.). Vespasian “went and burnt Galilee and the neighbouring parts” (Wars 6/6/2). When the temple finally burns, Josephus moans: “One would have thought that the hill itself, on which the temple stood, was seething hot, as full of fire on every part of it” (Wars 6.5.1). “Babylon”, the code name for the impious city of Jerusalem, was “ruined within a single hour”. “They see the smoke as she burns” (Revelation 18:9, 19). A friend of mine remarked that, if our times are following a pattern parallel to all of this, then what sort of punishment is our world in for! Now the ‘great tribulation’ of which Our Lord spoke is none other than the ‘great tribulation’ of which St. John wrote in, e.g., Revelation 7:14 (cf. Matthew 24:21). These are not meant to be separated by millennia! No need to extrapolate to, say, the Third Millennium, to find the “great tribulation” [though, allegorically, modernistic Relativism today are ‘in the spirit’ of the religious persecution that the Jews were then suffering at the hands of their own people]; the seven churches of Revelation (1:9; 2:9-10, 13) were already feeling the strain of it. And no need even to go to Rome and Nero for a terrible persecution of the early Christians. Jerusalem is far enough. On the eve of Nero’s accession, there was a great famine that “spread over the whole empire” (Acts 11:28; cf. Matthew 24:7). 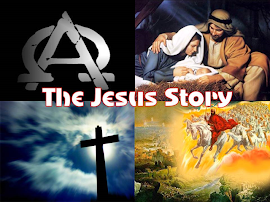 “It was about this time that King Herod started persecuting certain members of the Church. He beheaded James the brother of John, and when he saw that this pleased the Jews he decided to arrest Peter as well” (Acts 12:1-3). ... Herod, wearing his robes of state and enthroned on a daïs, made a speech to them. The people acclaimed him with, ‘It is a god speaking, not a man!’, and at that moment the angel of the Lord struck him down, because he had not given the glory to God. He was eaten away with worms and died. Need we even necessarily go to the Eternal City of Rome for the martyrdom of Sts. Peter and Paul? I don’t know. St. Peter’s bones, we are told, lie beneath St. Peter’s in the Vatican. But that is not necessarily proof that he died there (cf. Exodus 13:19, where Moses carried Joseph’s bones from Egypt to Israel). In this regard, I was interested to read in the Opus Dei commentary re the two witnesses of Revelation 11, who definitely died in Jerusalem (v. 8), that “because the two witnesses testify to Jesus Christ and die martyrs, tradition identifies them with Sts. Peter and Paul ...”. But the two witnesses of Revelation could just as well - perhaps even more likely - be two other of the Apostles slain in Jerusalem before the city’s destruction by the Romans: e.g. James the Lesser. Eusebius (The History of the Church) wrote in detail about this great miracle-working Patriarch of Jerusalem whose martyrdom, he says, was “instantly followed” by the capture of Jerusalem by the Romans (13:1). Some of the Fathers thought that the two witnesses would be Enoch and Elijah, said not to have died. But this could be only in an allegorical sense; in the sense of the two witnesses coming “in the spirit” of Enoch and Elijah (like St. John the Baptist). The next thing we read in Scripture is Jesus’s telling his disciples re the Temple that ‘not a single stone standing here will be left on another’ (Matthew 24:2), and then afterwards telling His four chief Apostles, Peter, Andrew, James and John, privately (the famous Olivet Discourse), about what would happen to Jerusalem. The Book of Revelation is Our Lord’s revealing all of this through St. John now, several decades later, to an audience far larger than just the select four. The Book of Revelation is, I maintain, a continuation of the Gospels and especially of the Olivet Discourse. Why, then, don’t commentators realise the obvious; that Sts. Peter and John are referring to Jerusalem; but under the cryptic name of “Babylon”? And why “Babylon”, instead of, say, “Sodom” or “Egypt”? There is a sad and biting irony in this choice of epithet. Whereas the Babylonians had been they who had destroyed the Temple of Jerusalem the first time round, now it will be the Jews themselves, nick-named “Babylon”, who will be responsible for burning to the ground their very own Temple. And this time it would be irrevocable. Jerusalem was known long before Rome as the city of Seven Mountains/hills. Rev 17:9: And here is the mind which hath wisdom. The seven heads are seven mountains, on which the woman sitteth. 1. Mt. Gareb, 2. Mt. Acra, 3. Mt. Goath 4. Mt. Bezetha, 5. Mt. Zion, 6. Mt. Ophel, 7. Mt. Moriah. Revelation more naturally evokes the image of Jerusalem as the city seated on seven mountains in 17:9 than Rome. The view that Babylon is a cipher for Jerusalem in the Apocalypse cannot then be dismissed on the basis of this common objection; not only can it be defended that the evidence of 17:9 can fit Jerusalem, there are strong reasons to believe that it in fact does most properly fit Jerusalem. …. 2. Her suitors who have wooed her in the past, made her rich, but who eventually come to loath her, then turn on her and destroy her. So some could argue that the same situation is to be found in Revelation: 1. The Woman, Jerusalem, rides on 2. Roman power, but is to be distinguished from the latter which will eventually cause her destruction. The Woman is Jerusalem; the Destroyer is Rome. What has exacerbated the whole exegetical problem of properly interpreting Revelation on a literal level is, I believe, the conventional opinion that St. John wrote this Apocalypse in hoary old age, in c. 95 AD, about a quarter of a century after Jerusalem had been destroyed. Hence many commentators are loath to see any relevance for Revelation in the destruction of Jerusalem in 70 AD. Protestant and Catholic writers alike accept the late 95 AD date of authorship (Protestant Thomas Foster sharing this view in common with Opus Dei and Fr. Kramer). However, with the discovery of the Dead Sea Scrolls at Qumran, there has emerged a new scholarship of great expertise as typified by Fr. Jean Carmignac, showing that the books of the New Testament literature (esp. the Gospels), were composed much earlier than was originally thought. And the signs are that the entire New Testament, including Revelation, pre-dates 70 AD. I believe that there is abundant evidence in the Apocalypse to indicate that it was written early. In fact the reason that prevented my writing this article initially was: Where to start? There is so much! My effort in the end had been greatly assisted by my finding Gentry’s preterist interpretation on the eve of commencing this article. The whole Book of Revelation is focussed upon the Holy Land and especially Jerusalem. The Temple; the golden altar; the 24 elders keeping watch at Beth Moked in the north from where an attack might come (and general Titus did in fact take Jerusalem from there, at the city’s weakest point); the sabbath restrictions; etc., etc. Apart from their late dating of St. John’s Revelation preventing commentators from recognising the obvious, that “Babylon” is Jerusalem, this path they have taken leads them into other awkward anomalies as well. It is commonly believed that St. Paul had already completed his missionary activity and had been martyred well before St. John the Evangelist wrote the Book of Revelation. Paul is given the credit for having established the seven churches to which John later wrote. This view forces commentators into making such strange observations as Fr. Kramer’s: “... St. John could not have interfered in the administration of the churches in the lifetime of St. Paul” (op. cit., pp. 7-8). Oh, no? Was St. Paul (who even refers to himself as a very late arrival on the scene, I Corinthians 15:8) greater than St. John, the Beloved Disciple of Our Lord? St. Paul himself would answer us an emphatic: ‘No’! Of his visit to Jerusalem after his 14 year absence, he tells us: “... James, Cephas and John, these leaders, these pillars, shook hands with Barnabas and me .... The only thing they insisted on was that we should remember to help the poor ...” (Galatians 2:9, 10). St. John was by no means subservient to St. Paul; but apparently gave orders to the latter. All the Apostles had a hand in establishing the churches throughout Judaea and Samaria, as Jesus Christ had commanded them, and then “to the ends of the earth”, which St. Paul boasted had been achieved even in his day (Colossians 1:23). And Our Lord told the Apostles, “solemnly”, that they would not have completed “the rounds of the towns of Israel before the Son of Man comes” (Matthew 10:23). We had better look now briefly at that particular ‘Coming’. The Son of Man refers on various occasions to his ‘coming with His kingdom’ in the context that it would occur whilst some of those present were still alive (e.g. Matthew 16:28; Luke 9:27). Liberal modernist exegetes, imagining that Christ could here be referring only to his final and definitive Coming, love to point out that, because it has not occurred to this day, Jesus Christ was prone to error, was not omniscient, and that the Apostles who had expected His coming in their day were deluded (especially St. Paul). But there may be more than one biblical ‘coming’. Since the Apostles greatly yearned for the ‘coming’ of Jesus Christ, could that have been the definitive ‘coming’ at the end of the world? I suggest not. Too far away. Rather the Apostles were yearning for a ‘coming’ of Jesus in their own day; one that would, in some cases, coincide with their martyrdom, their being uplifted into Heaven (as in the case of the deaths of the two witnesses). Apparently Christ had apprised them of this; for St Peter wrote: “I know the time for taking off this tent is coming soon, as Our Lord Jesus Christ foretold to me” (2 Peter 1:14). Presumably the Master would also have told St. Paul; for did he not ‘show [Paul] how much he himself must suffer for My name’ (Acts 9:16)? Was this ‘coming’ for the Apostles therefore the kind of consoling heavenly visitation that St. Stephen Protomartyr had experienced just before his death (Acts 7:56): ‘I can see heaven thrown open ... and the Son of Man standing at the right hand of God’? Did it, for many of them, coincide with his victorious coming in 70 AD as the Rider upon the white horse, to oversee the destruction of harlot Jerusalem and the now-corrupted Judaïc system? Because Our Lord’s predictions are - for those who believe him to be the Word Incarnate - infallible, there must have been a ‘coming” already in the days of the Apostles, of that particular generation. 70 AD (conventional dating) is then the likely date for it. The 40 years of probation for the ‘woman’ were now up. It was to be divorce and execution.